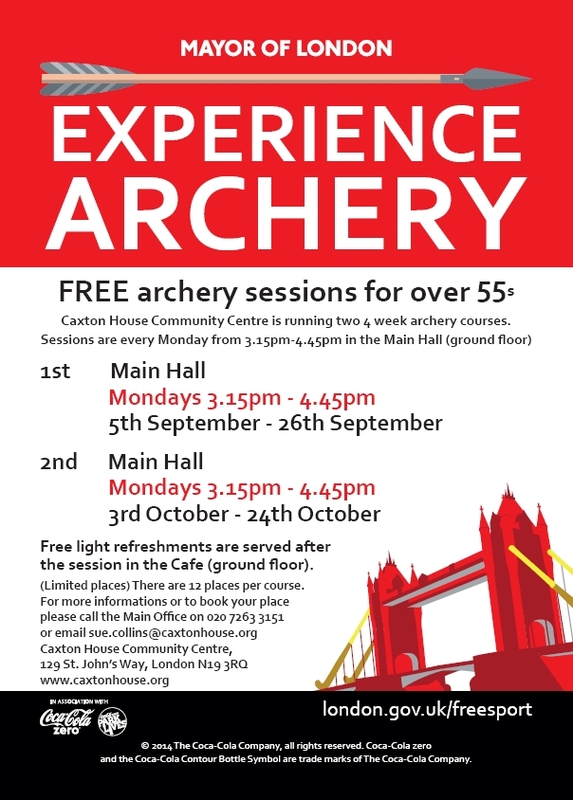 Caxton House Community Centre will be running two free 4 week archery courses for over 55s. Sessions will run Mondays from 3.15pm-4.45pm in the Main Hall (ground floor). in the Cafe area (ground floor). so spaces are limited and will be booked on a first come basis.